In 2001, a young West Australian skipped Hebrew class to listen to a slight elderly man dressed in bishop’s purple and a clerical collar teach on the Epistle of James. The class stood as he entered the room and remained standing while he prayed. They addressed him neither by his name (Donald) nor by the title of his most recent posting (Archbishop), but by the clerical order he occupied through the laying on of hands: ‘Bishop Robinson’. The whole spectacle struck the young West Australian as otherworldly and exotic, though not inauthentic. Its effect was to lull students into a false sense of security—a security quickly removed as this unassuming figure treated the class to an exegetical tour de force, with original and daring insights thrown at the unsuspecting class with a velocity for which none were prepared. How did I, that young student, end up in that class? I was brought up in a wonderful Baptist family and Baptist theological environment—pious, dispensationalist and Arminian. Through a complex journey I found my way into the Reformed version of the faith and, after some years of work and ministry, I got in a car and drove across Australia to attend its most prominent Reformed college: Moore College. My first year was thrilling, but also disorientating. 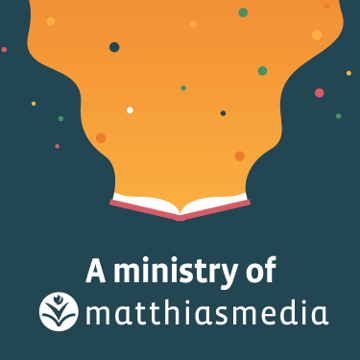 Matters I thought were settled were open for discussion, exegesis was an adventure, covenantal theology was subsumed under the wider category of kingdom, critical theology was read generously, and biblical theology was everywhere. The categories of Reformed theology were servants to the task of reading the Bible, rather than a dominant voice that had decided what you would discover in the Bible before you even opened it. I was both bewildered and enthralled. Curious to know more about the creators of this environment, I began listening my way through the Moore College tape library—and encountered Donald Robinson. I was captured. The style of lecture was more formal and less Socratic than DB Knox, but the proposals were to my mind even more original and exciting. I devoured them all, talked about them enthusiastically with friends, palmed-off some of his exegetical insights as my own, and eventually became that West Australian who skipped a class to listen to the man whose teaching was re-shaping my thinking. So, who was that small, elderly man in purple saying profound things to a classroom of Moore College first years? Donald William Bradley Robinson was born in Lithgow, NSW in 1922, the son of prominent Anglican rector, RB Robinson. His academic record at high school was patchy, but crucially he was able to study Greek at school, which put him in a powerful position for biblical studies later on. Spiritually, he was a convinced evangelical. He had no awareness of a conversion experience, and was an active Christian witness and ministry right through his years of schooling. At Sydney University, he studied classics and languages, exercised Christian leadership in the Evangelical Union (EU), and stood at the very start of a long and noble tradition of EU presidents and vice-presidents marrying each other. During WWII he served in Brisbane and Papua New Guinea, and afterwards studied at Cambridge. 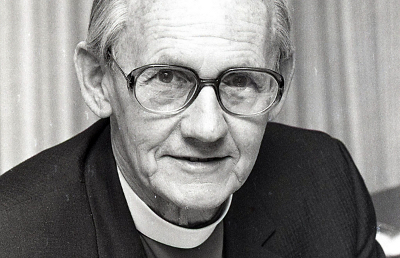 He began teaching at Moore College in 1952, an institution at which he was to teach until 2002 (with a short break in the 1980s, when he served as Archbishop of Sydney and Metropolitan of NSW). I learned many, many things from those lectures. One of the most spiritually life-shaping things that Robinson taught me is that reading the Bible is an adventure. He taught his students that the world of the Bible was untamed, wild: not garden but wilderness. To enter the world of the Bible was to enter a world where we are visitors, not proprietors. We are like guests in another person’s country, and we are required to exercise the associated virtues of humility and curiosity. It is not our job to colonize the Bible but to understand it on its own terms and—if we are disciples—to allow its patterns and concerns to shape our own. Robinson was the consummate curious and humble guest. His powers of observation lead him to see sometimes startling and uncomfortable features in the biblical landscape. He believed that “the saints” in the NT was a technical term for Jewish Christians, that question of the extent of the canon was a live one for us today, that the church was not the new Israel, that “baptism in the Spirit” is not a synonym for conversion but a post-conversion Pentecostal experience, and so forth. Robinson relentlessly interrogated the text for what was there, which made reading the Bible an adventure rather than an exercise in theological confirmation bias. I have also learned an important leadership lesson from Robinson. 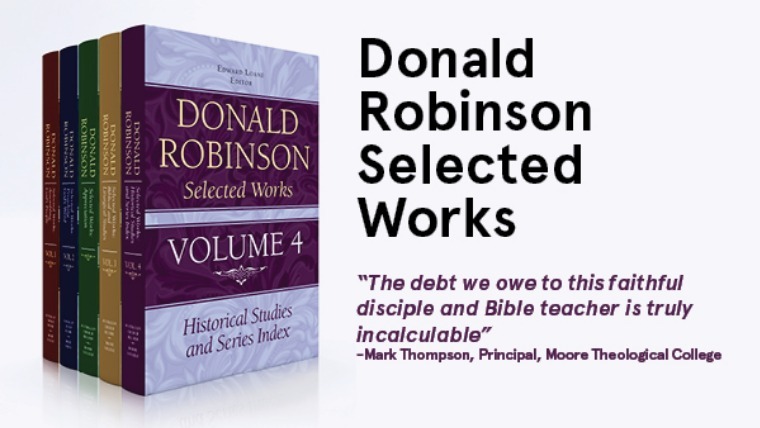 Robinson is remembered as a scholar more than an archbishop. His conservatism was frustrating for those clergy shaped by his exegesis. Both of the major battles of his episcopate—for mutually recognized orders in the national church through a male priesthood and for Anglican forms of worship in Sydney—did not go his way. However, Robinson’s personal integrity and almost superhuman ability to play the ball and not the man were deeply impressive. He did not allow personality or personal loyalties to move agendas forward. He was able to argue vigorously for his position in the context of debate but still maintain warm and affectionate relationships with his opponents before and after. There is a (perhaps apocryphal) story that at a function a young girl came up to Robinson and said, “You are a very important man”—to which he replied, “No, but I have an important role.” His archive, which I am slowly working through at the moment, is free of vanity, ego, or any attempts to exercise control over public opinion, save the occasional Edwardian sense of discretion. To me, it seems fitting that his last lectures were to a small group of students, most of whom were blissfully unaware of the roles he had held, or the fact that the biblical theology which encouraged so many of them to seek a Moore College education was largely of his making. He was simply an unassuming figure who stood in front of us saying surprisingly radical and insightful things about the Epistle of James. A longer version of this article will be published in the next Australian Church Record Journal. Photo credit: Moore College. 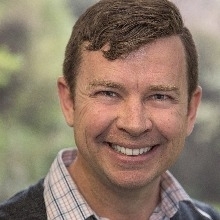 Rory Shiner is pastor of Providence Church in Perth, Western Australia. He is the author of Raised Forever and One Forever.